Anne Stablein climbs the Tick Traverse in Maryland. Northwest Branch Bouldering – The Tick Traverse V5 from Dan Michels on Vimeo. Here are 5 problems featured in Xu Liting’s video from Heuco Tanks in 2013. Ariel Chilton climbs Seven Spanish Angels with some static beta. Warning, I would turn your volume down for this one, but the beta is great. 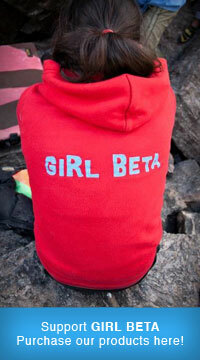 This is a very proud moment, for women in climbing and for Tomoko. It’s really great to see women from around the world, pushing their limits, staying focused, and sending their projects. Watch this great video of Tomoko Ogawa, and how psyched she is when she sends. Congrats Tomoko! Sasha wins the Arco Rock Legend Award! Congrats to Sasha Diguilian for winning this award. She deserves all this recognition. To view her blog and her thoughts on winning click here. A nice video of Shauna working through a long line in Guenella Pass, CO.